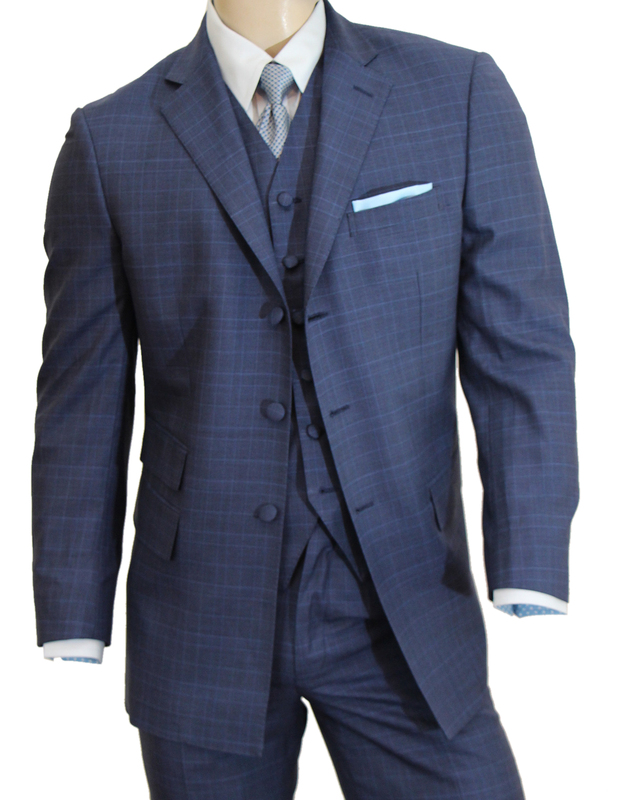 This retro three-piece suit features a three-button single-breasted jacket with cloth-covered buttons, three flapped pockets and a square-cut bottom. 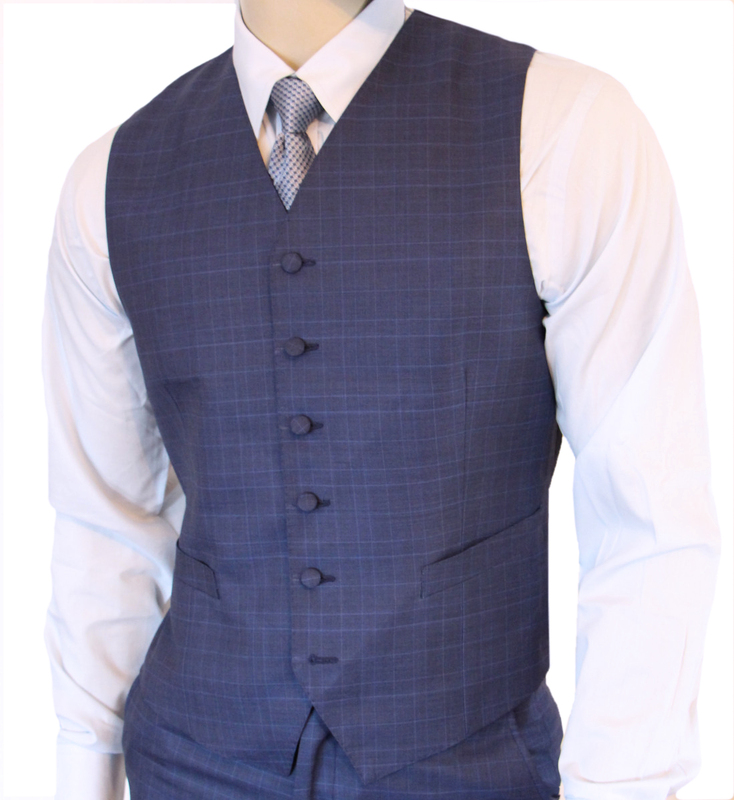 The six-button waistcoat has matching buttons and two welted pockets. 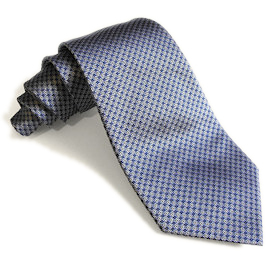 The pleated trousers have angled side pockets and plain bottoms with no cuffs.